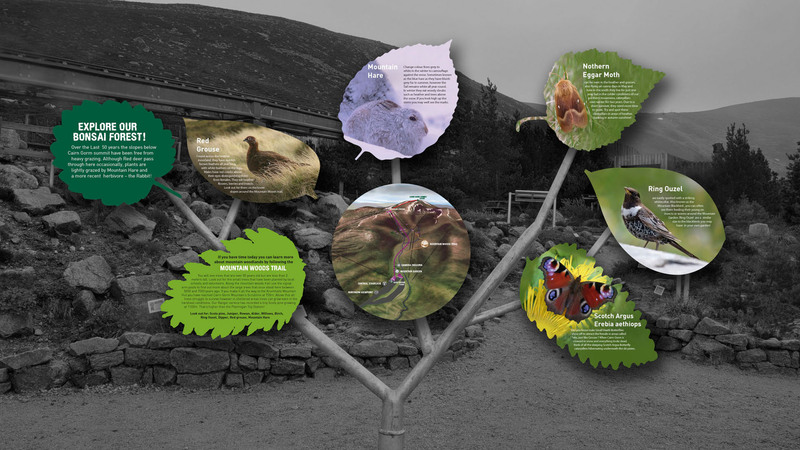 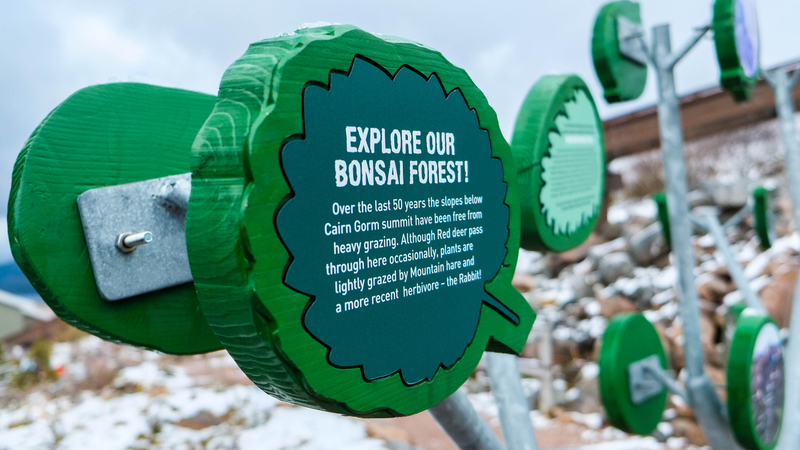 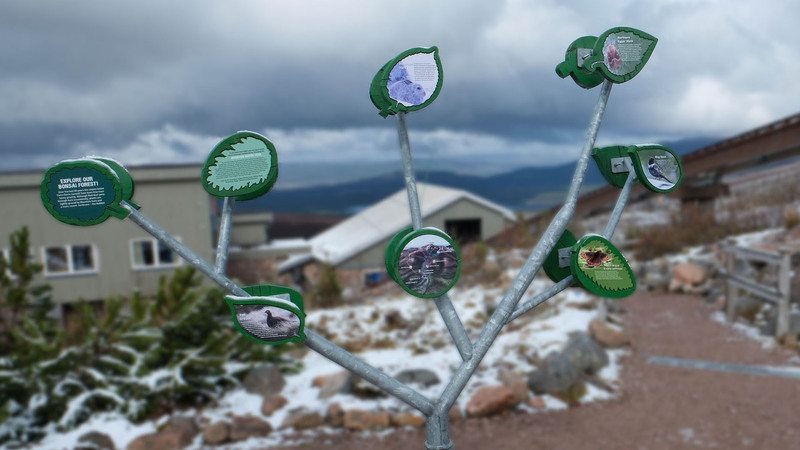 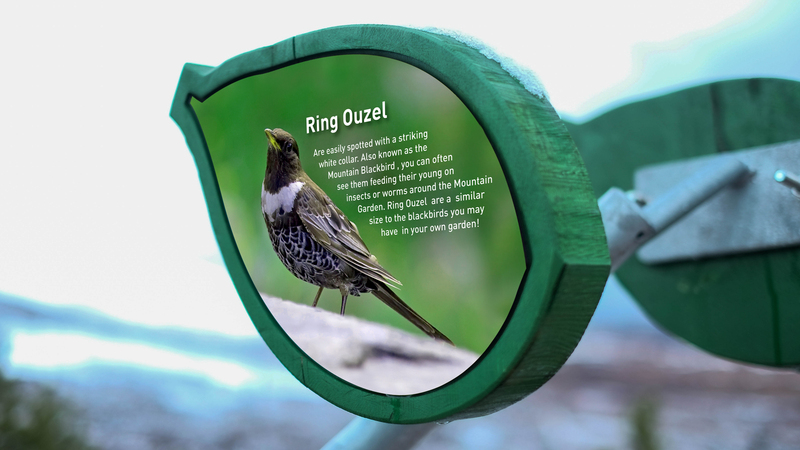 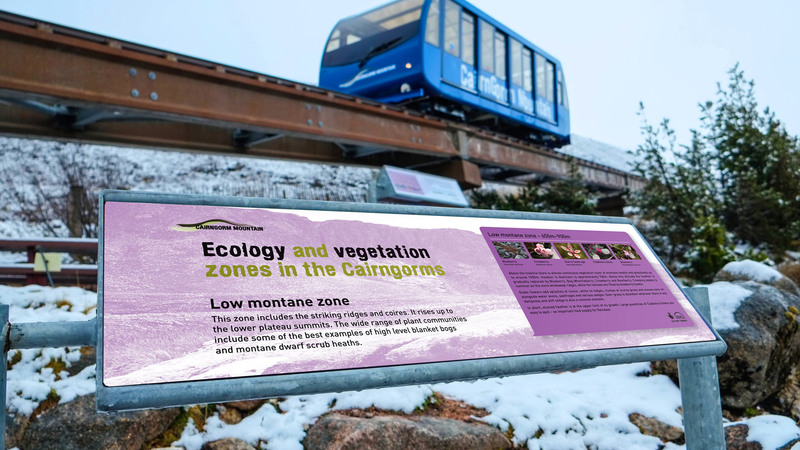 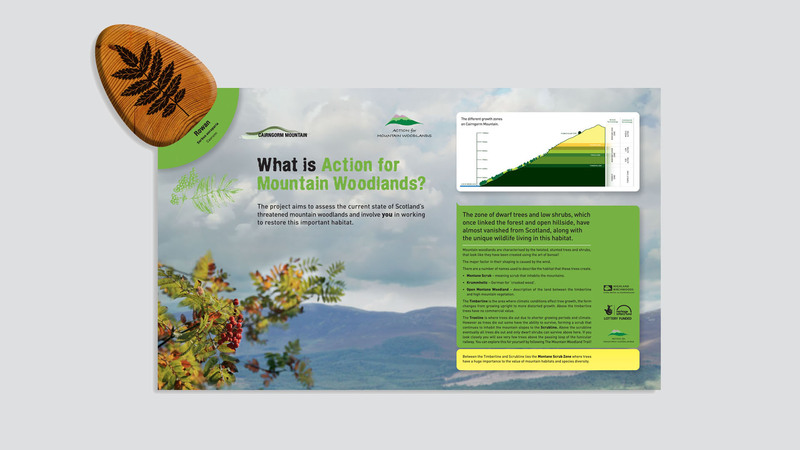 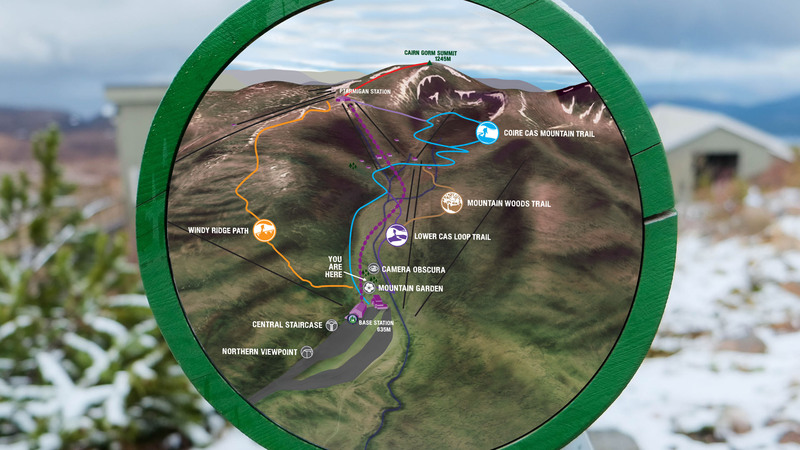 We were commissioned by Cairngorm Mountain to design and implement an interpretation walk in their new Mountain Garden. 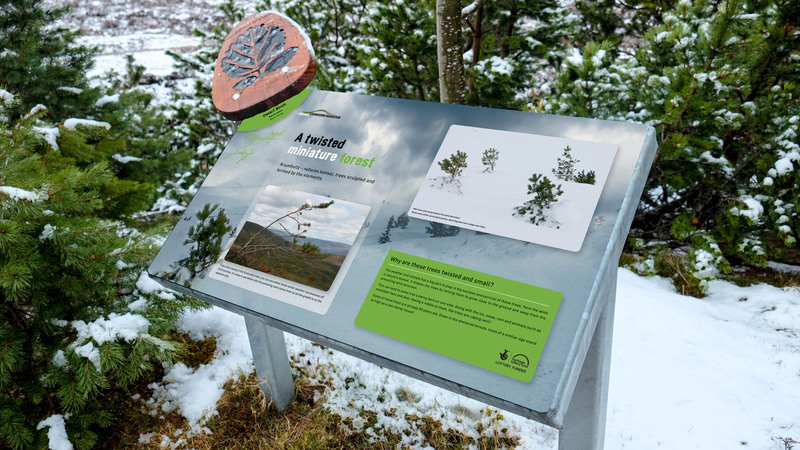 This had been created as an interpretation and educational facility about sustainability and new forest generation in the high mountain environment. 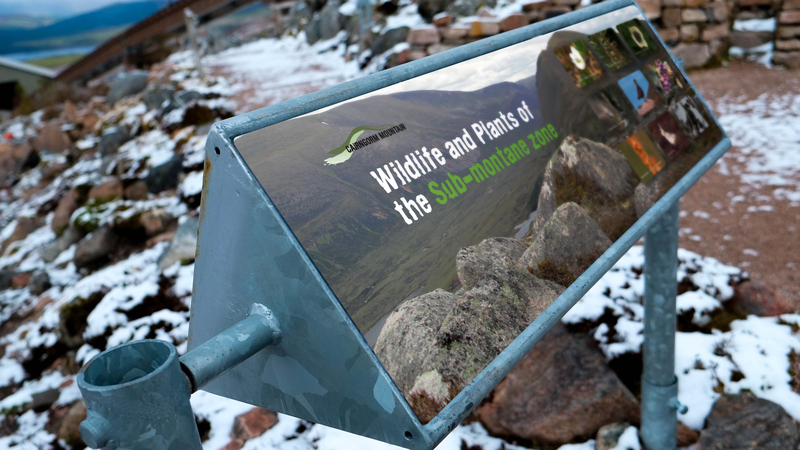 The signposted route takes you on a mini walk from sub-montane to high mountain plateau telling the story of the flora and fauna that co-exist there.